Offering you a complete choice of products which include flat krishi pipe. 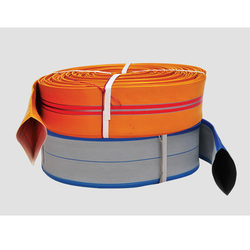 Lay Flat Krishi Hose is a non-reinforced multipurpose low pressure tube which is available in transparent, translucent and opaque color according to given specifications. •Water supply and discharge of wideplace like orchards, mangroves,horticulture, agriculture fields, etc. •Suitable for irrigation and watersupply application.